Fixed deposit (FD) is one of the most popular investment avenues that guarantee assured returns on investment. As compared to other investment options, the interest rates applicable on fixed deposits are reasonable too. This is why most people choose to invest their hard-earned money in fixed deposits over other investment options. 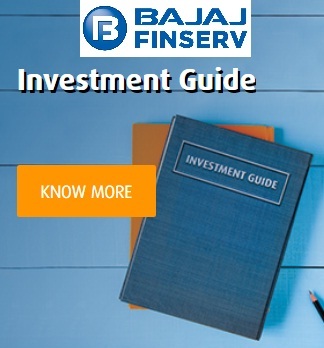 Bajaj Finance Ltd the lending arm of Bajaj Finserv offers Fixed deposit with the highest interest of up to 9.10% with flexible tenors ranging from 12 to 60 months. Bajaj Finance Fixed Deposit is one option that offers higher than market average returns on your investment with additional interest for senior citizens, along with other benefits. The prime reason of investing in Bajaj Finance Fixed Deposit is that it is one of the safest investment as the returned are assured and not based on the market fluctuation. Bajaj Finance Fixed Deposit is also accredited with the highest safety rating of ICRA's MAAA (stable) rating and Crisil's FAAA/AA rating. The minimum deposit required to invest in a Bajaj Finance Fixed Deposit is Rs. 25,000, which makes it easier to invest. Bajaj Finance offers you an advantage of choosing from flexible tenor of 12 to 60 months. You can go with the tenor that best meets your financial requirements. Bajaj Finance Fixed Deposit offers cumulative deposits and non-cumulative deposits with yearly payouts option. Investor can choose to get the full interest earned at maturity by choosing a cumulative FD or choose to get regular payouts at intervals of every month, quarter, half-year or year by choosing a non-cumulative FD. Senior citizens get an interest rate that is 0.35% over and above the existing interest rate. Bajaj Finance Fixed deposit offers renewal benefits in the form of an additional 0.25% of interest. To start investing, individual can fill in the online application on the company's website. Once the form is submitted, Bajaj Finance representative will get in touch for all the documentation. Investor needs to submit the application form, a photograph and KYC documents.